Hanoi (VNA) – The National Financial Supervision Commision has assessed in its financial report for July that declines in the interest rate for the rest of 2017 will be supported by both domestic and international factors. The pressure on the exchange rate is not high, with the value of the US dollar falling more than 7 percent compared to early this year, and the possibility of the US Federation Reserve raising its interest rate this year below 50 percent. At the same time, inflation is likely to stay below the National Assembly’s target of 4 percent, while only 25 percent of Government bond issuance plan needs to be fulfilled in the final five months of 2017. Interest rates for Government bonds of all terms also dropped 0.2-0.3 percentage points compared to the end of June, lower than the same period last year by about 1 percentage point, which also supports the cutting of banks’ interest rate, according to the committee. The committee also said that State policies have aided the interest rate’s reduction. 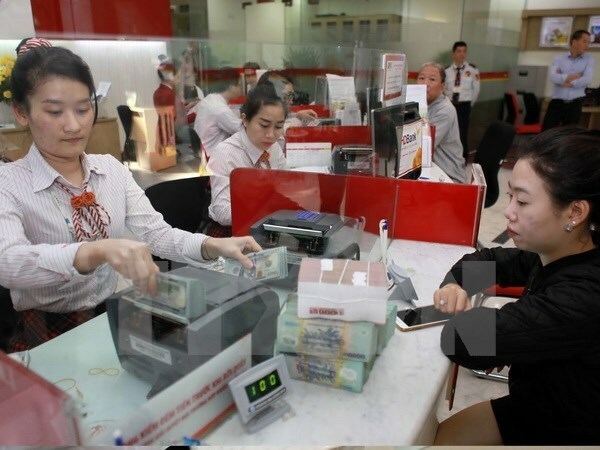 The deposit interest rate has remained stable and the lending interest rate has been falling since the State Bank of Vietnam (SBV) reduced its prime interest rate and the ceiling rate of short-term loans for some sectors. Meanwhile, bad debt settlement has received favourable legal mechanisms, via the National Assembly Resolution 42/2017/QH14 on pilot settlement of bad debts and the Prime Minister’s approval of a project to restructure credit institutions in tandem with bad debt tackling for 2016-2020. The committee also reported that in July, the liquidity of the banking system was high as interbank interest rates dropped to the lowest points since early this year by 0.6-1 percentage points compared to June and 3-4 percent over early 2017. The reason for this was the SBV’s purchase of a lot of foreign currency to raise foreign currency reserves, thus increasing VND provision to the market. In the July cabinet meeting, the Government also asked ministries and sectors to work harder to fulfil this year’s economic growth goal of 6.7 percent.